During his time at WFAA (he was there almost a decade — he started when the station still had studios in the Baker Hotel), Jerry was in countless bands — in fact, he often had several going at the same time. Some of his bands were: The Bumblebees, the Tune Tumblers (with a then-unknown Dale Evans as the group’s “girl singer”), Three Cats & a Canary, The Baboleers, and The Cowhands. 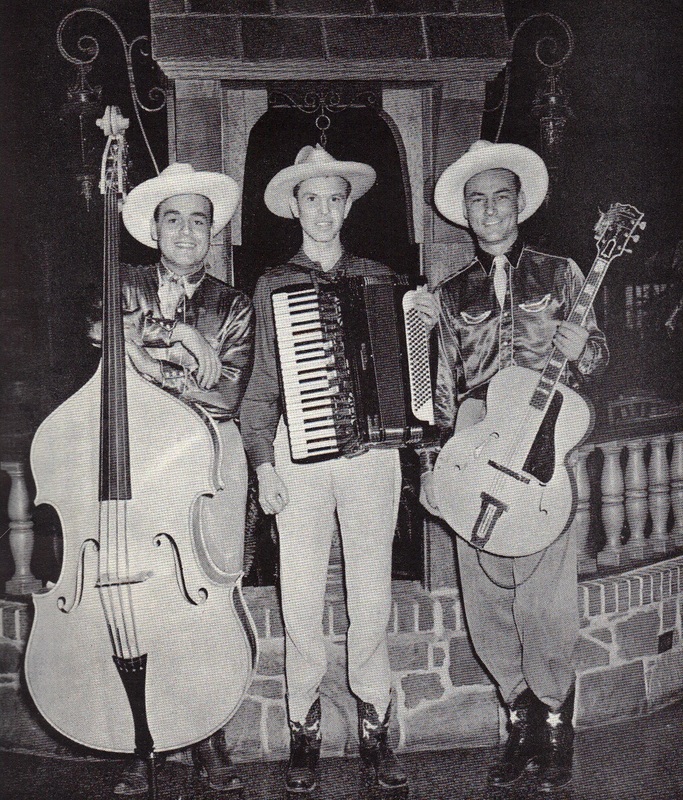 His main group, though, was the Cass County Kids, a popular trio that performed western music and who claimed to have a repertoire of over 500 songs (!). In 1945, after years of working as mostly anonymous radio musicians, the Kids finally hit the big time. Gene Autry asked them to join him, and they left Dallas for Hollywood, changing their name in the process — at Autry’s request — to the (slightly) more age-appropriate Cass County Boys. They appeared in movies, on television, and on record with Autry for several years, and from all accounts, the Cass County Boys had a long and happy career. 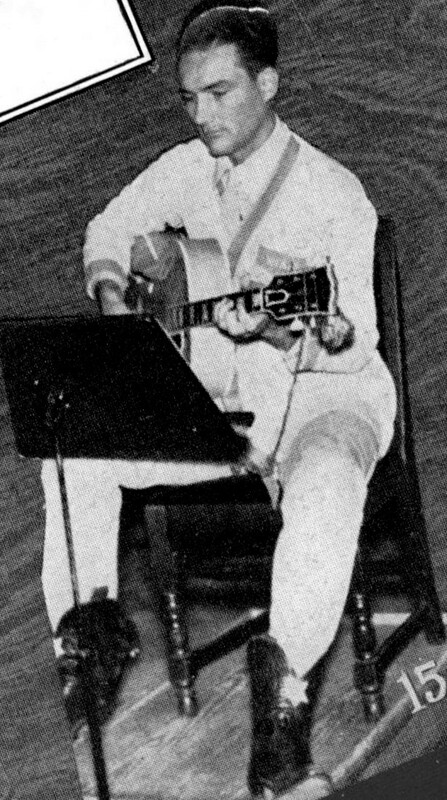 By 1962, Jerry was still in California, but at that point he was working as a stockbroker, singing only on weekends. I’m not exactly sure how it happened, but — seemingly out of the blue — he was asked by TV producers to sing the theme song for a new CBS television show called The Beverly Hillbillies. 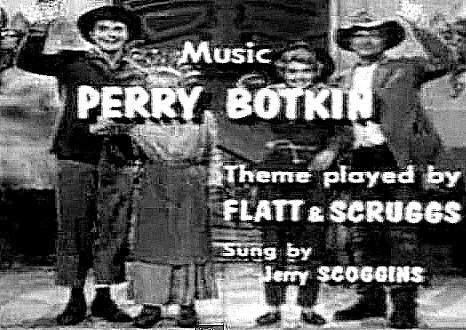 Backed by the great Flatt & Scruggs, Jerry sang “The Ballad of Jed Clampett,” and his voice became known to millions of people, overnight. And here it is more than fifty years later, and I bet you know all the words to the song. It has become a permanent fixture in American pop culture. And that’s why you know Jerry Scoggins. The top photo of Jerry Scoggins and the large photo of the Cass County Kids are from the WFAA-KGKO-WBAP Combined Family Album (Dallas, 1941). The small photo of the Cass County Kids is from eBay. Jerry Scoggins was born in 1911 in Mount Pleasant, Texas (in Titus County, right next door to Cass County). He died in 2004 at the age of 93. His obituary in the Los Angeles Times is here. More on Jerry from Wikipedia, here. A nice overview of the Cass County Kids/Boys is here. Some images are larger when clicked.